Healthcare is one of the last industries where faxes remain a dominant means of communication. Fears over HIPAA fines, misunderstanding of alternatives and legacy systems can make it seem "too hard" to get rid of faxing. 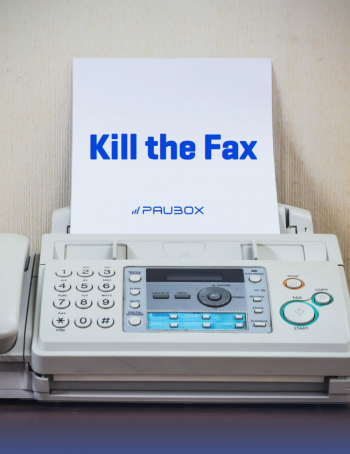 In our "Kill The Fax" whitepaper we show you how getting rid of fax machines can save you $80,000 or more in the long run. Where should we send your whitepaper? Why Is Faxing Risky Business? Hint: it's not the most secure method to use. The communication that's much faster, easier and safer than fax. Doing the Math on the cost of sending a faxes. Ready to Transition? What you need to keep in mind to dump the fax. As faxing remains the industry's communication method of choice, health systems, providers and associates suffer in terms of costs, convenience and information security.